"I SAID a hip, hop, the hippie, the hippie, to the hip hip hop, a you don't stop the rockit to the bang bang boogie, say up jumped the boogie, to the rhythm of the boogie, the beat." With that opening line, from their 1979 debut single 'Rapper's Delight', The Sugarhill Gang introduced the world to a new music - rap/hip hop. Brewing in The Bronx since the early 1970s, through the work of pioneers like Kool Herc, DJ Hollywood, Afrika Bambatta, and Grandmaster Flash, 'Rapper's Delight', brought a new musical style to a global audience, and the songs' catchphrases have resonated in rap ever since. While it was not the first rap song to be committed to vinyl, 'Rapper's Delight' was the genre's first A-side release, and a global hit in autumn 1979, as such it has earned an important, and iconic, place in rap history. Their 1981 single, a cover of The Shadow's 'Apache', has achieved a cult status and is often featured in DJ sets. Their 2009 track, 'La La Song' with DJ Bob Sinclair, was a hit in continental Europe. With their legend secure, more than 12 million units sold, and a recent international tour under their belt, The Sugarhill Gang - original members Wonder Mike, Master Gee, and Hen Dogg (replacing Big Bank Hank ) - are coming to Galway. They have played Sonar, Bestival and Electric Picnic, and are acclaimed for their energetic live shows. 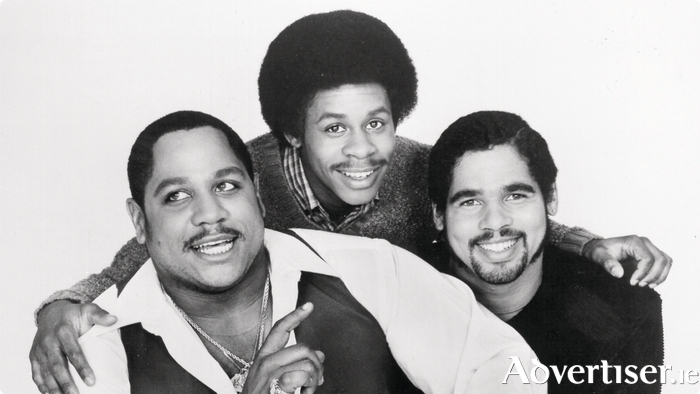 The Sugarhill Gang play the Róisín Dubh on Friday December 22 at 8pm. Tickets are available at www.roisindubh.net, the Ticket Desk at OMG Zhivago, Shop Street, and The Róisín Dubh.